An original oil painting of the yellow kitchen interior with flowers in the vase, by Connecticut Impressionist Artist Leif Nilsson. 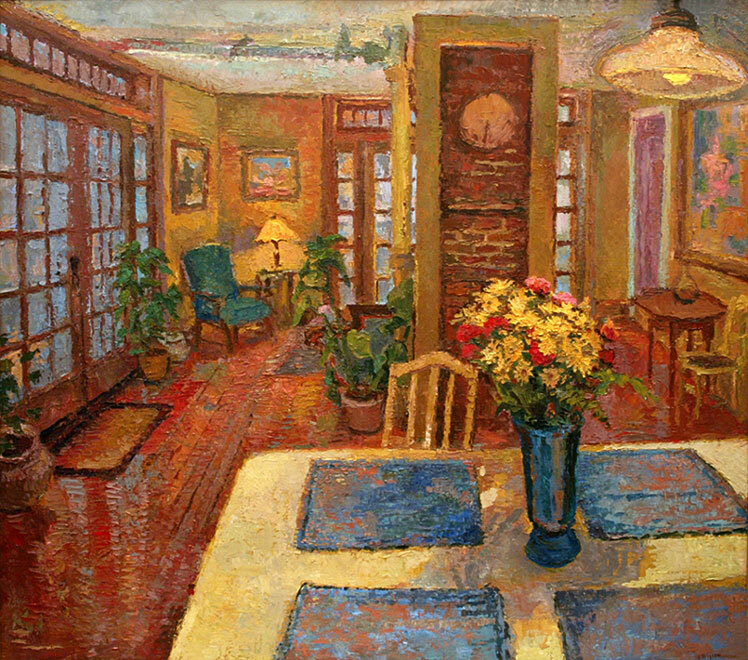 This large oil painting of my kitchen was painted during the winter of 2006 after I remodeled the kitchen by removing a wall, relocating the refridgerator and the laundry room and by adding french doors to gain access to the garden. The red, yellow and blue theme is supported by the Aztec red floor, Viking Yellow walls, and blue glass accents. Please call or email me for any additional information about this painting.